You’ll love the flavor of this pumpkin spice cake recipe. It’s not just for Fall anymore! The great thing about making a pumpkin spice cake recipe is that within reason, it is a bit of a ‘no holds barred’ creation, in that you can put any spice or experiment with the cake as much as you like, as long as the main standard ingredients aren’t altered i.e. keep the flour, butter, pumpkin puree and eggs the same quantities to avoid any changes in texture or the cake not rising. You can imagine my surprise when I went to a local meeting with a friend and we started talking about baking. I spoke about the joys of a pumpkin cake recipe and other delicacies using the ubiquitous pumpkin to be met by some quizzical faces and several questions – can you really make this or that with pumpkin? Can you really steer away from keeping to a standard mix and following a recipe letter to the law? I was a little surprised to be met with such incredulity – after all – you make cakes from a ton of things, so why not from another variety of squash – at one stage as I looked at the table, I began to think that I had dreamt making these cakes and puddings. 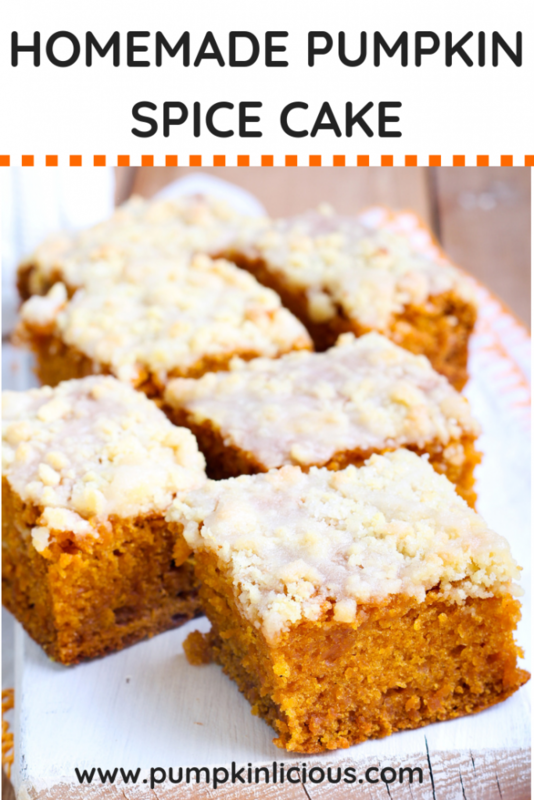 But I hadn’t, so here is the pumpkin spice cake recipe to share with you. Maybe there was something strange in the coffee and tea that morning – I was amazed that I appeared to know more than they did! Firstly, I would like to make a suggestion. I tried making these cakes using both a standard 9in/23cm round tin and a loaf tin. I cannot explain why, but the cake made in the loaf tin seemed to be moister so my recommendation would be to use a loaf tin. If you are more comfortable with a round cake tin, then so be it. Delicious and moist, you'll love this amazing Fall cake! Make your ‘icing’ first by mixing together the icing sugar, honey, butter and chopped walnuts. Set aside. The icing is only meant to be a thin spread on top of the cake. Grease a 450g/1lb loaf tin, or a 9 in/23 cm loose-bottomed cake tin. In a large bowl, mix the butter, sugar, flour, bicarbonate and baking powder together with the spices (cinnamon, ginger, and nutmeg) until smooth. Scoop in the pumpkin and mix thoroughly until everything is combined. Add the nuts and spread evenly through the cake mixture. Scoop the mixture into the loaf tin or cake tin and smooth over the top. Bake for 35 minutes until golden and a knife inserted into the center of the cake comes out clean. Leave until cool and remove from the tin, on to a wire rack. Once completely cool, spread over the icing/frosting and top with the whole walnuts. Enjoy with a lovely coffee in the morning or a cup of tea in the afternoon. 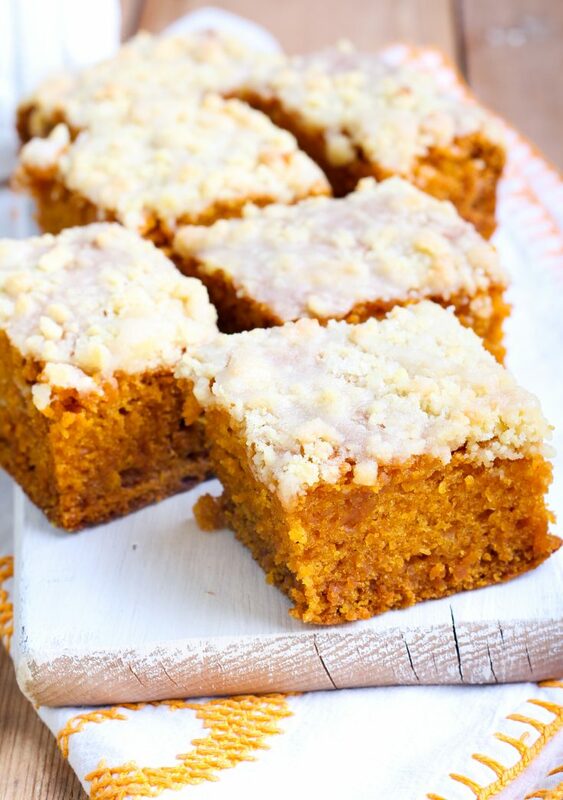 Have you created a cake using pumpkin before as an ingredient?